Activities to practice converting common fractions into another, equal fraction. Board game to print and cut out. Match equivalent fractions on cards with those on the board to line up counters to win. Mental calculations of equivalent fractions. It is recommended to use the Equivalent Fractions lesson plans 1, 2 and 3 first. Revises multiplying fractions with whole numbers. Mental calculations of simplifying fractions. 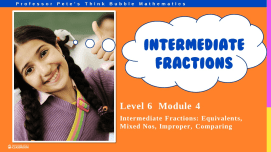 recommended to use the Equivalent Fractions lesson plan 4 first. Revises multiplying fractions with whole numbers. 2pp. Features and functions of the Equivalent Fractions Gadget: Demonstrate visually equivalence, simplifying, decimals & recurring decimal fractions. Lesson Plan: Introduces the concept of what an equivalent fraction is, using cutting up fractions on shapes. Uses only x2 examples. Lesson Plan: Develops the idea of equivalent fractions cutting fractions into many different but equal parts. Uses x3 or more examples. Lesson Plan: Develops the idea of equivalent fractions reducing in size by joining fractional parts together. 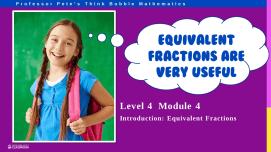 Lesson Plan: Develops the idea of equivalent fractions reduced to their simplest form. Lots of practice to establish and reinforce concept. Lesson Plan: Lots of practice to establishing and reinforcing the concept of equivalent fractions using multiple equivalences. 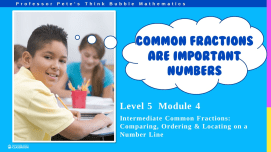 Lesson Plan: Numbers lines are used to show equivalence of fractions. Requires drawing on fractions on number lines and labelling them. Blank template with circles and fractions allowing teachers to fill in their own equivalent fractions questions. Allows for extra reinforcement of difficult equivalent fractions concepts when needed and for revision. Blank template with circles and fractions allowing teachers to fill in their own simplifying fractions questions. Allows for extra reinforcement of difficult equivalent fractions concepts when needed and for revision. Template: Allows for further practice of finding equivalent fractions and locating the fraction on a number line. Shows a common fraction written in the simplest form. Includes some advanced examples of more complex common fractions.